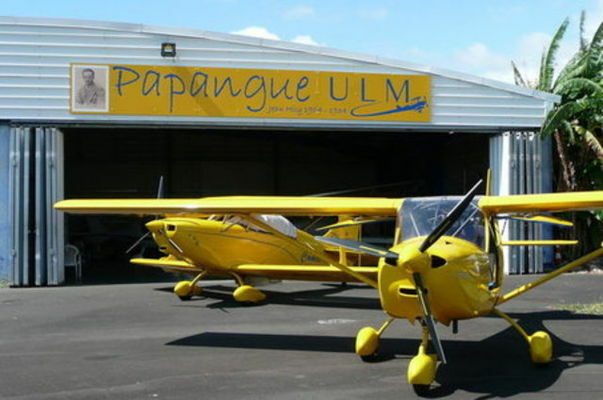 Papangue ULM in the Roland Garros light aircraft zone invites you to discover the island from the air. 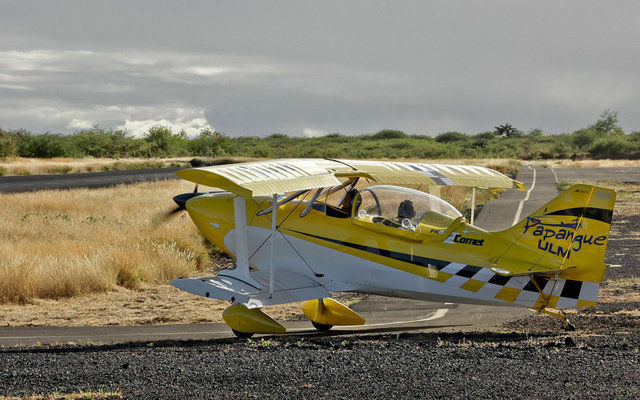 A range of tours, taking you over the sugarcane plantations, La Réunions finest Creole residences, the cirques, the volcano, waterfalls, or lagoons. Also a flying school. 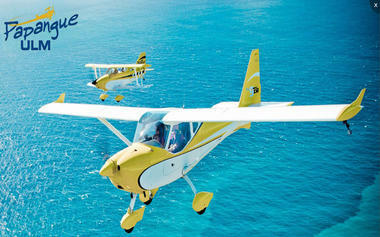 Rates depend on tour selected, from 80/flight/person for flights over Salazie/Voile de la Mariée/Trou de Fer. Environment / Access : From Roland Garros Airport, take the expressway to Sainte-Marie, then the next exit (to the shopping mall). Go round the roundabout and take the third exit on the right, then continue on towards the fishing port and yachting harbour. 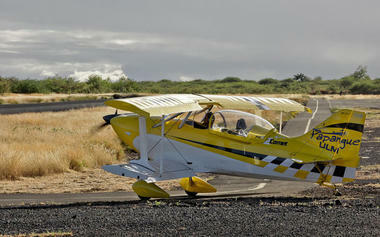 At the roundabout near de the sea, turn left towards Météo France. Continue to the end of the cul-de-sac. 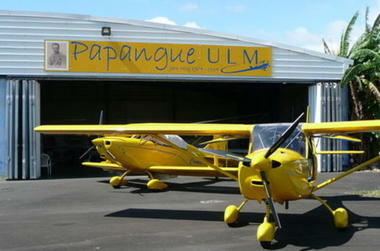 Papangue ULM occupies the last hangar.